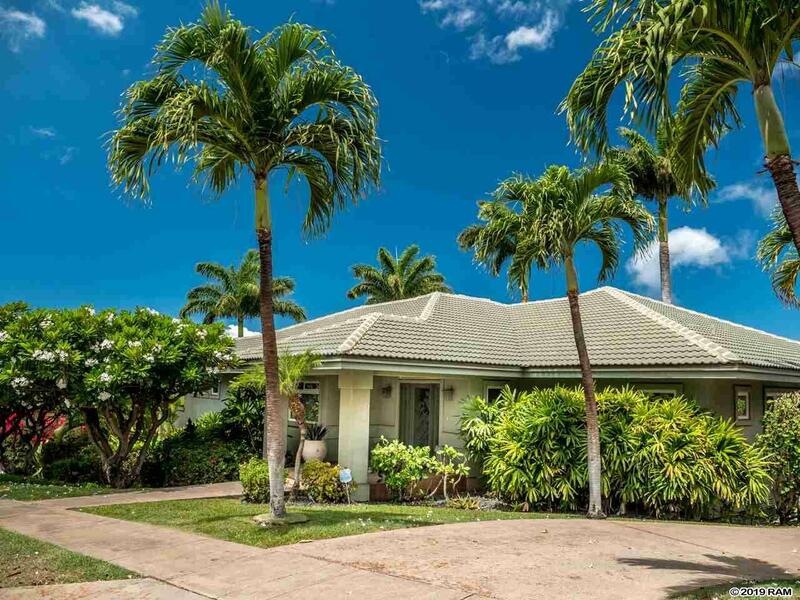 Beautiful island home located in the prestigious Kaanapali Golf Estates, overlooking the world famous Kaanapali resort and beach. This elegant residence has a spacious living room, dining room, kitchen, lanai, master suite and office located at entry level. Two guest suites and a large family/media room are located on the lower level, opening to a large pool and deck. Cabinets by Siematic "American Series", Corian counter tops throughout kitchen and all baths. Fourth bedroom has been converted into an office.